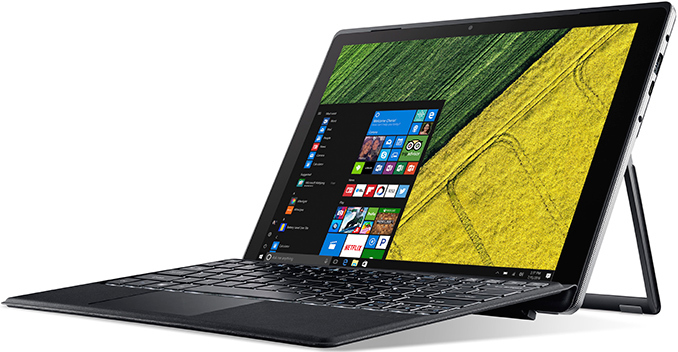 Acer this week introduced its new high-end 2-in-1 hybrid PCs that will be available later this year. The Acer Switch 5 will be aimed at users who require both portability and performance, and is based on Intel’s Core i5/i7 CPU while being paired with up to 8 GB of DRAM as well as up to 512 GB of solid-state storage. To integrate a relatively powerful CPU while retaining moderate price, power consumption and long battery life, Acer had to give up a 4K display panel and a Thunderbolt 3 controller, which were key features of the Switch 5’s predecessor. 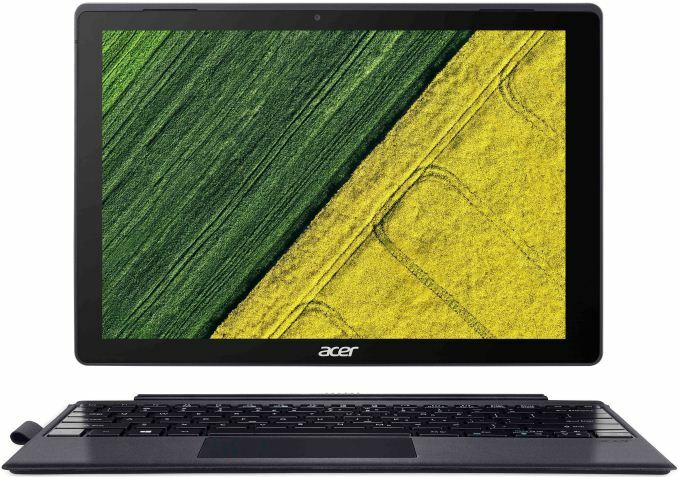 In addition, Acer announced its new inexpensive Switch 3 convertible notebook that in many ways resembles its more advanced brother. Sales of PCs continued to decline in Q1 2017 and totaled 62.2 million units, according to Gartner. Market researchers believe that many consumers delay purchases of new PCs because their old machines are good enough and because they tend to spend more on smartphones. Meanwhile, there are multiple indications that computers in hybrid form-factors continue to gain popularity because many people want to have convenience of a tablet (e.g., compact sizes, touchscreen, etc.) and versatility of a laptop (physical keyboard, performance, features). After large PC makers introduced loads of various convertible PCs last year, competition in the segment intensified. Since 2-in-1s still represent a new category, PC vendors continue to learn what the end-user wants from such systems and continue to evolve their designs in response. To a large degree, this is exactly what Acer did with its entry-level Switch 3 and higher-end Switch 5: it upped the bar for its inexpensive machine and eliminated “overkill” features on the advanced model. The Acer Switch 5 hybrid laptop is powered by on Intel’s 7th generation dual-core Core i5/i7 CPUs with a 15W TDP. Previously the company used various Core M (Skylake-Y) CPUs for such computers, but since Core i5/i7 offer considerably higher performance due to higher frequencies, Acer decided to switch to them. The manufacturer uses its fanless "Liquid Loop" cooling solution (based on either heatpipe or vapor chamber tech) to cool down the CPU, so, the new PC is utterly quiet, just like its predecessors, the Acer Switch 12 S as well as the Switch Alpha. The new 2-in-1 can be equipped with up to 8GB of LPDDR3 memory, a 256 GB or a 512 GB PCIe 3.0 x2 SSD, a 802.11 ac Wi-Fi controller with 2x2 MU-MIMO technology, front- and back-facing cameras, a fingerprint reader, one USB 3.0 Type-A, and one USB 3.0 Type-C (5 Gbps) port, as well as a MicroSD card reader. Unlike its predecessor, the Acer Switch 5 comes with only one display option: a 12” IPS panel with a 2160×1440 resolution and covered with unknown protective glass. The multi-touch display supports the Acer Active Pen for note-taking and sketching, and solidifying its tablet credentials. Previous-gen high-end convertibles from Acer (the Switch 12 S) offered an optional 4K display panel, but this time the manufacturer decided not to give such an option. Thunderbolt 3 has also been excised, presumably due to power consumption and/or costs. 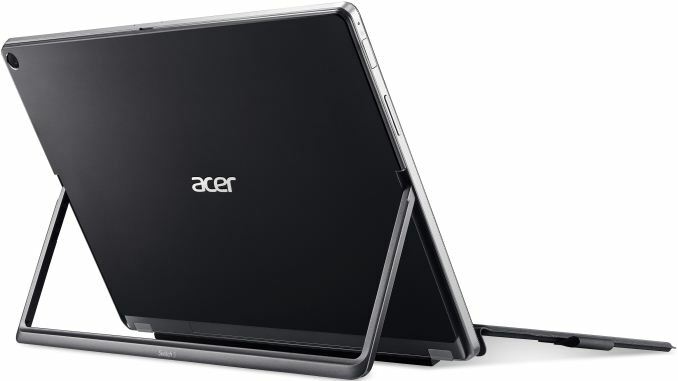 The Acer Switch 5 is made of anodized aluminum, and because it now uses a higher-performance CPU and a more powerful cooling system, the unit got a little thicker and heavier than the Aspire Switch 12 S. The tablet itself is about 9.6 mm (0.38 inches) thick and weighs around 920 grams (2.03 pounds). Meanwhile, the new keyboard seems to be more compact than the predecessor, which is why the whole system became thinner and lighter: with the keyboard connected, the 2-in-1 laptop is 15.24 mm thick (0.6 inches) and weighs around 1270 grams (2.8 pounds). The Acer Switch 5 will hit the market in North America and EMEA in June starting at $799 and €1099, respectively (exact specs vary by the region). The system will be available in China starting from July at a price from ¥7,499. 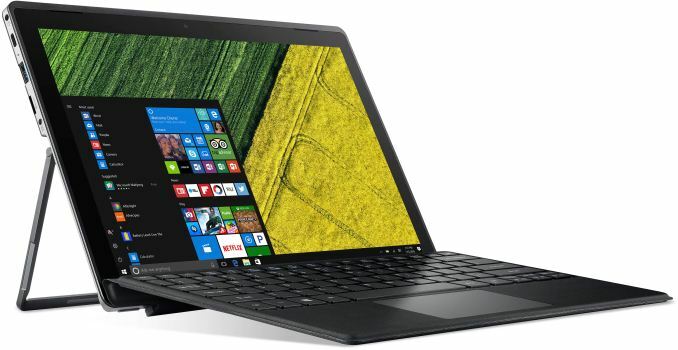 The Acer Switch 3 is an entry-level 2-in-1, which is positioned above the inexpensive Switch V10 and the Switch One 10 launched a year ago. With the Switch 3, Acer is no longer pursuing the low end of the market, which is why the system inherits a lot from its more expensive brother, the Switch 5 (e.g., design, configuration of ports, etc.). The Switch 3 is based on Intel’s Kaby Lake Celeron and Pentium processors, with cooling provided by Acer’s fanless cooling solution. The device comes with up to 4 GB of LPDDR3, up to 128 GB of eMMC solid-state storage, front- and back-facing cameras, as well as dual-band MIMO 802.11ac Wi-Fi. The 2-in-1 also features a USB Type-C port, which is used for data transfer, video output and charging. The Switch 3 has a 12.2” IPS touchscreen with 1920×1200 resolution. As for dimensions and weight, the system is a bit thicker (9.95 mm), but a bit lighter (900 grams) than the Switch 5. Since the Switch 3 does not have to address the low end of the market, it is not going to come at a bargain price. The convertible will be available in Europe and the U.S. in June for €499 and $399, respectively. It will hit the Chinese market in July starting at ¥4,999. And keep in mind that exact specs will vary depending on the region.